Longtime readers of this column may recall that I once wrote here about the day, eight years ago, when I lost more than half of my hearing in a freak occurrence of sudden sensorineural hearing loss—what was in effect a stroke in my inner ear. Overnight I lost the ability to hear much of what is said, and it took me several years to figure out a work-around. Now, through creative positioning, I am able to place myself in a room in such a way that I have the maximum chance of hearing the gist of things. But there are some situations that are still largely impossible. My most recent experience of this was at a gathering last week hosted by the Leadership Roundtable, a church management group that was hosting a summit on the sexual abuse crisis in the Catholic Church. Much of the two-day affair involved simultaneous conversations at about 40 tables in a ballroom at the Four Seasons Hotel in Washington, D.C. Knowing that this was going to be a problem, I informed my tablemates right away that I have a hearing disability and that I would likely miss much of the conversation. The next morning, one of my tablemates, a deacon and subscriber to this magazine, handed me a device called the PocketTalker 2.0. It is a lightweight microphone, just a little smaller than an iPhone. The idea, he said, was to place the instrument in the center of the table and the earbud in my good ear, allowing the sound collected by the microphone to be transmitted directly into the ear. I gave it a try. It worked! I could hardly believe it. The kindness of your fellow reader made it possible for me to hear the conversation at my table and to make a meaningful contribution. I decided then and there that I would be putting this little miracle to work in many other situations. Which got me thinking during my trip back to New York. How many times have I stood greeting parishioners after Mass who told me they could not hear the homily or much of anything else? That happens a lot. Most churches were designed and built prior to audio amplification, many even before electricity. The high, vaulted ceilings and marble floors of most churches create a thunderous echo, which creates a perfect storm of frustration for someone with hearing loss. What if every parish had a set of PocketTalkers that they could lend to parishioners, much the way Broadway theaters make similar devices available free of charge for their audiences? But what if every parish had a set of PocketTalkers that they could lend to parishioners, much the way Broadway theaters make similar devices available free of charge for their audiences? Better yet, what if a benefactor donated sets of these or similar devices to every parish in their area? Here is a problem we can actually solve with some smarts and a relatively modest financial commitment. Sounds good to me. How about today? Is anyone thinking, for example, about how the church will take advantage of the driverless car? What if a benefactor or a parish were to make available two or three driverless cars, which could pick up elderly or infirm parishioners and transport them to and from Mass? Or to a Knights of Columbus function? Or to a doctor’s appointment? Right now, the loss of a driver’s license means isolation from the community for too many of our seniors. But we could solve that problem with some smart planning and a bit of fundraising. All that is lacking is a culture that sees these new technologies as opportunities for evangelization and solidarity. There are many solveable problems like this. All that is lacking is a culture that sees these new technologies as opportunities for evangelization and solidarity rather than scary, bewildering forces that can only pull us apart. We should dream of a day when an elderly parishioner is able to return to Sunday Mass because the parish has sent a driverless car to get her; and when she gets to the church, she will hear every word of the liturgy through her PocketTalker. And her fellow parishioners would have made it all possible through some smart thinking and generous hearts, and by tapping their ATM cards against the digital device in the collection basket. Technology can be a great component to a parish outreach program but it is not THE answer to evangelization. Just as people are rarely invited by dogma and doctrine, they need to find community and relationships when their non-human means of transportation ferries them to the door of Church. I agree with your comment. Still, there is plenty that can be done to make the good news and the sacraments more accessible. The article is interesting and makes at least two good points—technologies can help improve the quality of life for many people, and charitable donations can help get those technologies to those who need them. But I cannot help thinking of the larger story here. The Pocket Talker that Fr. Malone describes is made by Williams Sound, a U.S.-based private company financed in part by a private investment firm https://www.williamssound.com/about . 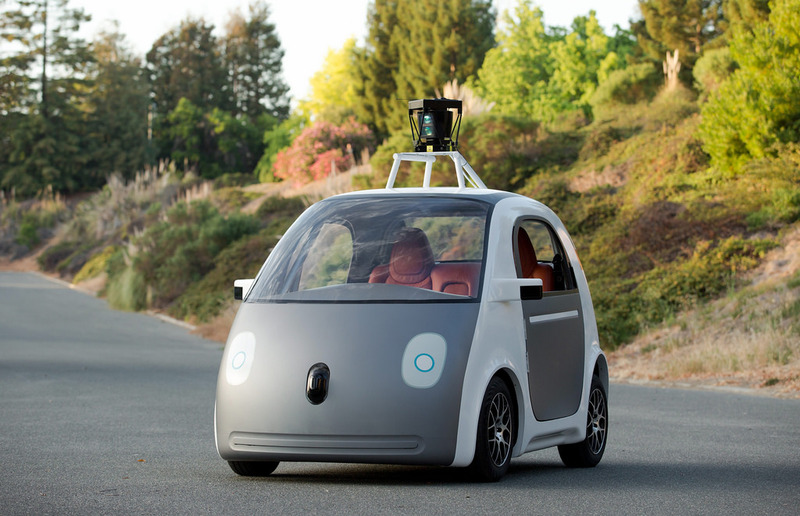 The self-driving cars that Fr. Malone sees as helpful to people trying to get to Mass are being researched, and eventually will be manufactured by,big, shareholder-owned corporations competing against each other to build safe dependable models that meet the needs of customers—some too young to drive, some elderly, etc. So these are products that meet real needs of real people. All of these are profit-seeking ventures—people with great ideas, coming together with engineers and technicians, plus sales and service people, supply chain managers, shipping clerks, and supported by accountants, lawyers, advertising and marketing specialists—lots of people getting paychecks. Last year, out of their profits and paychecks, Americans donated some $410 billion to charities. https://givingusa.org/giving-usa-2018-americans-gave-410-02-billion-to-charity-in-2017-crossing-the-400-billion-mark-for-the-first-time/ Some of that money went to install wheelchair ramps at churches, some to fund scholarships for low-income students, some to fight cancer, to aid flood and fire victims, and a host of other good causes. That’s the big picture of America’s economic system. That, too, is a story worth telling. While I am in complete agreement that new developments in technology may be used in support of evangelization, I would like to point out that for many who suffer hearing loss, particularly the elderly, volume is not necessarily the problem. Hearing loss is complex and those who already wear hearing aids may not be able to use this particular item as described by Fr. Malone. "But what if every parish had a... Here is a problem we can actually solve with some smarts and a relatively modest financial commitment"
Inexpensive cell phones with wifi or android pads. Netcast the Mass via FB and people can tune in with their own electronics or the loaners. Excellent article, it was interesting to get acquainted with this information, found a review about it at https://esportbetweb.com/pubg-betting-sites/ and did not regret. This article also appeared in print, under the headline "The ability to pray," in the February 18, 2019 issue.